Dance of Stones: A Shamanic Road Trip is a story of three journeys: the tale of a physical road trip; the shamanic journey of emerging screenwriter-shaman Soli; and the journey this book will take you on as you travel through its pages, absorbing information effortlessly as you go. 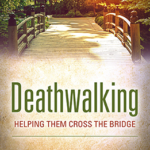 Travelling through the pages of this book is easy and highly enjoyable as you join this frank, honest and at times highly amusing tale of two people, who don’t know each other that well, on a road trip from Germany to sacred sites in Cornwall, England. 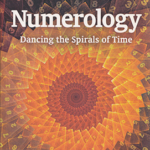 The ancient tradition of teaching through story telling works very well when the tale itself is told as engagingly as this – but don’t be fooled by the ease of reading, like shamanism itself, this book contains many layers and at some point you realise you are on a journey of your own alongside the author and Soli. Post tribal shaman, Kenn Day relates his tale with a likeable humility and there is something in it for everyone. Personally I loved Kenn’s honest portrayal of his occasional struggle to find the words to explain aspects of shamanism, interspersed with the moments when the words come from within/elsewhere and just fall right. This will sound so familiar to many other practitioners and help explain why sometimes we sound like bumbling idiots and at other times immensely wise. As Kenn says “One thing you’ll notice about shamans – we’re full of paradoxes”. 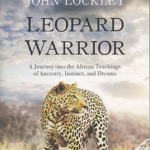 I also loved his description of a contemporary shaman as a travel agent which I think I may borrow in future (with an associated recommendation to read his book of course). 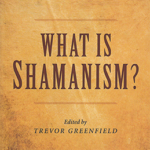 “What does it mean to work as a shaman in our post-tribal culture? Among other things, it does mean acting as a travel-agent – of sorts. The journeys are in the other worlds for the most part, but it’s as close a job description as any”. 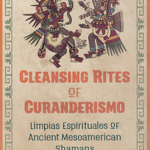 Each chapter of the story is followed by a ‘Deepening’ where the information in the story so far is looked at in greater details, giving a shamanic perspective and practical advice. For those that want them, practice exercises are contained in these sections as well as within the tale of the road trip itself. For those newly called to shamanism who are worried about the fact they are sceptical (a topic often raised by our subscribers) Kenn offers reassurance that this is OK, ““I’m a sceptic myself. In fact, I think I spent the first ten years or so in this arena trying to prove it was all b.s.” (my abbreviation). 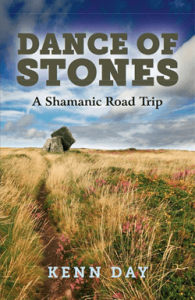 In fact Dance of Stones: A Shamanic Road Trip has something for everyone whether you are interested in knowing more about what contemporary shamanism is, have newly heard the call to shamanism yourself, have been practising shamanism a while, or just enjoy a good story. 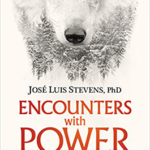 Highly recommended – I have a feeling I’m going to re-read this book more than once.